Design is a subject that has different methods to be adopted, various design considerations that are to be followed. The methods of design and the design considerations vary from design to design. We cannot design the Hospital as per the design considerations you must have listed for a shopping complex. The user group, the user requirements, the purpose changes and so does the design procedure and the design itself. In this article, we are going to discuss three main design considerations that are to be considered for the design of a retail store. We will also discuss about how a certain design can influence the business of the retail store. After the implementation and initiation of the three important considerations for a Retail Store Design, another important aspect of Architectural Design “Form follows Function” has to be well initiated. Efficiency of space utilization is the central functional requirement of the design of any retail space. It is important that the display, services, storage and customer movement are integrated in the best possible form. It is also important to have ease of access to the emergency exits and visibility of important signage present within the retail setup. Understand the target group that is the User Interface is of utmost important for the success of a retail store. One expects the well travelled, upper echelon of society to visit a high end space. Hence the functional requirement is to keep the decor rich with understated elegance. The space should allow the customer to view, discern and decide before making the purchase. The uncluttered clean ambiance has a good impact on the minds of the customers and the serves the right purpose. Visibility of products plays a crucial role in encouraging the purchase decision. Attention has to be given by the designer to make it a point to enhance the display area of the products which is the actual core of the retail market design. The height of merchandise should be such that every customer should be able to notice it. The seating arrangements are also very important. They have to be taken into consideration for the comfort of the customers. While keeping the function in mind, one should not focus much on ornamentation and less on the merchandise. The main aim of our design should be as follows; “The merchandise should stand and not the decor.” High end brands are famous particularly focus on the merchandise and not only on the decor. The duty of an interior designer is to focus on both merchandise as well as the decor of the space. This entry was posted by Benzu JK on July 19, 2010, 7:16 am and is filed under Architecture. You can follow any responses to this entry through RSS 2.0. I agree that store design is very important. All too often these days I see clothing racks placed anywhere and so close together that customers can barely walk between and among them, much less try to see what is on them. Counters are crammed close together and merchandise tossed on them with no thought for how the customer will perceive the mess, much less even attempt to locate and purchase the item they are looking for. Of course, these problems are not actually store design as much as they are problems that arise with the occupant once the store is designed. The store could have been beautifully designed and then ravaged by the management. designing a shop front needs careful planning and attention, get it wrong and it can affect your sales. a great post highlighting the importance of careful planning. Yes, you are absolutely right. A lot of thought process has to go behind designing a Retail Store Design. 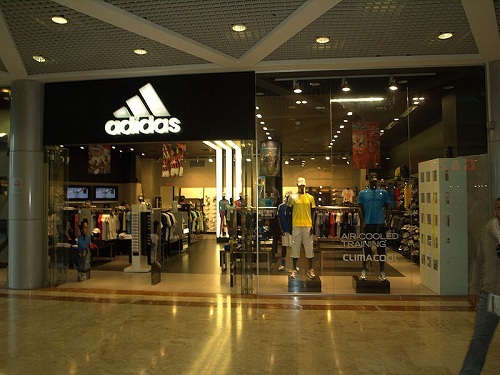 User group plays an important role in determining the success of a Retail Store Design. I agree that visibility of products is crucial, but it’s also important to display information alongside them effectively (price, description, warranty etc), a customer should be pulled to an area by the display and then be easily able to identify relevant information once there. Unless of course it’s an offer, in which case that’s the first thing the customer should see!